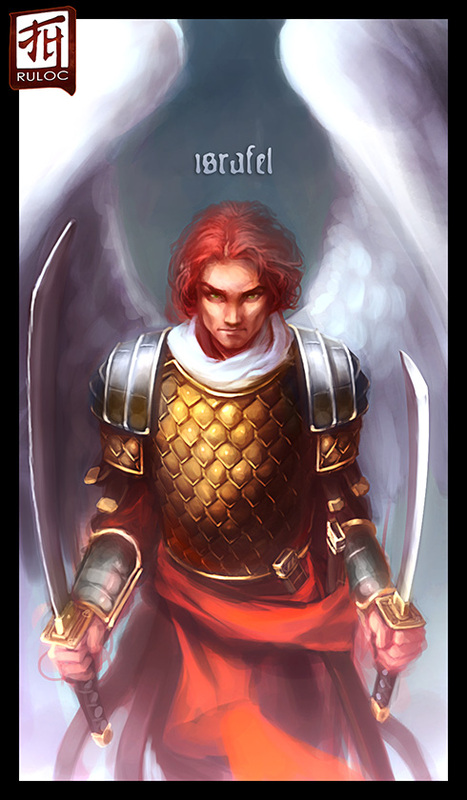 is a human synthesist with the appearance of a classical roman angel. He Stands 6' tall with shoulder length red hair and green eyes. Build wise, he is, again, classical roman / greek with strong features and well defined proportions. When fused, he appears to be wearing silver and gold Lorica Squamata i.e. Roman scale armor. No helmet is worn. He will also manifest white dove wings. In armament he differs from the typical roman image, carrying a mithral Daisho. Dark clothing with a symbol of a 5 headed dragon, Tiamat on the chest. 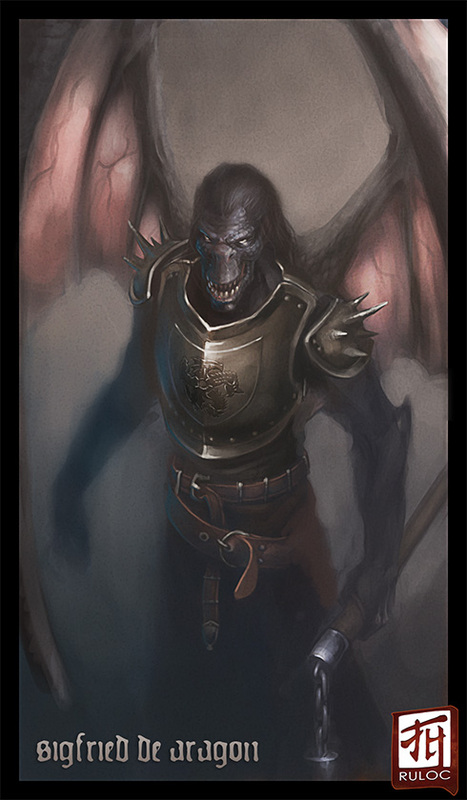 He wields a massive two handed flail, and is much more draconic/reptilian looking, with an elongated snout, prominent teeth, and much coarser, dark brown (near black) scales.